The different returns to formal education for entrepreneurs and wage-workers is a widely studied topic, yet little is known about the effects of specific educational training (i.e., field of study) on entrepreneurial earnings. In this study, we use panel data from the National Longitudinal Survey of Youth 1997 to compare the returns to field of study between entrepreneurs and wage-workers among individuals who attended college in the United States. We distinguish between individuals with a major in Business/Economics, Natural Sciences, Technology/Engineering, and Other fields. 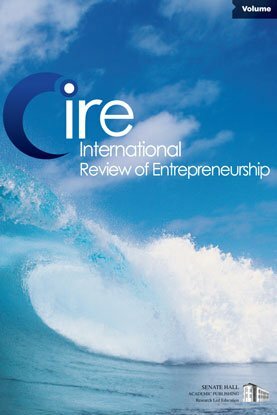 The empirical results show that entrepreneurs earn on average less than wage-workers, but the returns to field of study are not different between entrepreneurs and wage-workers. For both occupational groups, individuals with a major in Business/Economics or Technology/Engineering earn more than those with a major in Natural Sciences, and Other fields. We also analyze the relationship between returns and field of study separately for males and females and find a bigger income gap between entrepreneurs and wage-workers for women compared to men. We also find evidence that the income gap between men and women increases fast after leaving college.